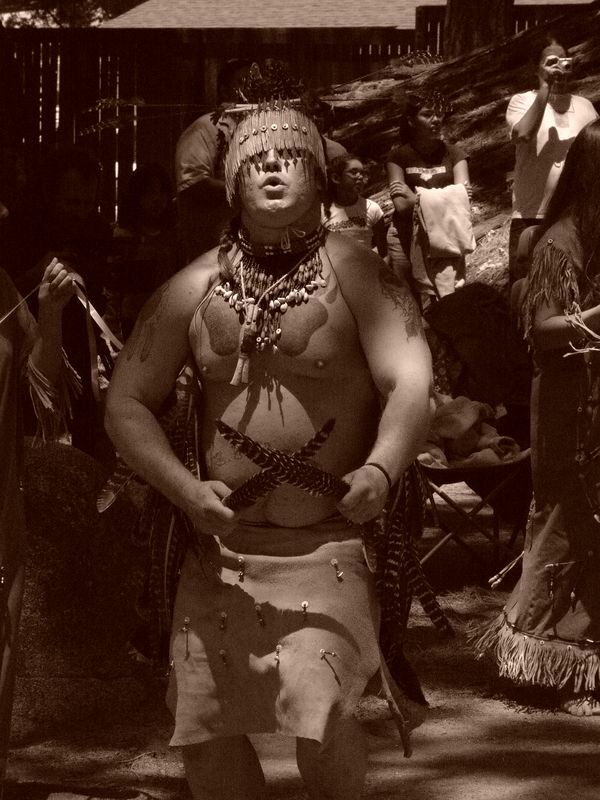 Yosemite Miwok dancer. Big time or Indian days June, Father's day wekend every year. Indian village Yosemite Valley.